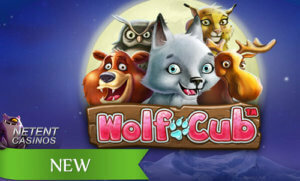 Netent Casinos » NetEnt’s new Wolf Cub™ video slot makes players howl! Set in a dark and snowy forest, you don’t expect the newest addition at the NetEnt Casinos to be cheerful, but the Wolf Cub™ video slot is actually a sweet game to play. 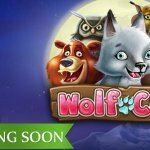 A wolf cub and his forester friends are in the ‘full moon’ spotlight while players can enjoy a great Free Spins feature combined with the innovative Blizzard feature. Unfortunately, there’s not so much to tell when it comes to the Wolf Cub™ video slot design. The animations are pretty simple and nothing special is really going on. The game is about this young wolf who seems to have fun hanging out with a silly bunch of forester friends including the grumpy owl, the happy bear, the goofy moose, and the friendly lynx. A combination of animals I don’t think you’ll ever bump into when hiking in a dark, cold and snowy forest, but NetEnt video slots are just like cartoons and everything is possible! That’s what you can expect from the design of the Wolf Cub™ video slot. As I said, nothing special, but the same doesn’t go for the video slot features. Although all the main game is offering is a Wild symbol, then 3 or more Scatters appear on the reels, you’ll start to see what makes this game so interesting. 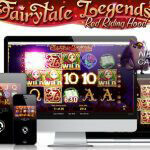 ..because once the Free Spins feature is activated, the number of Scatters will tell how many reels will turn once more to figure out the total number of free spins. The more Scatters, the more reels will turn again and the more numbers will appear. All the reels with a Scatter symbol on it will spin again and all three symbols on the reels will bring you a number. 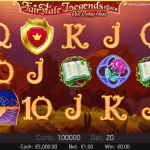 When the reels stop, the player is awarded a number of Free Spins equal to the sum of all the Free Spins numbers visible on the reels involved. 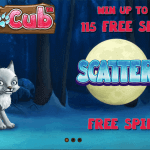 No matter if three or five reels in total, the number of free spins can climb up super high which in my opinion is a great deal while playing the Wolf Cub™ video slot. 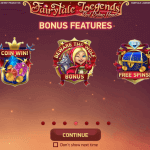 Free Spins are great, and a lot of Free Spins is even better, but what if another video slot feature is involved as well making this particular feature even more interesting. The Wolf Cub™ video slot might look like a really simple game, but I do believe that this Free Spins feature combined with the Blizzard feature makes this a sweet game to play. 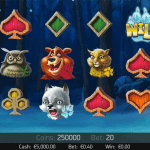 It’s obvious that the Free Spins feature is responsible for most of the action on the reels in the Wolf Cub™ video slot, especially when the Blizzard feature passes by. This happens if the first reel is taken over by one and the same symbol. If one or more of those symbols can be found anywhere else on the reels, the Blizzard will pass by blowing all symbols in between the first reel and those same symbols elsewhere into the same symbols. Sounds complicated, I know, but start playing the Wolf Cub™ video slot at All British Casino, for example, or Yeti Casino and you’ll understand exactly what I’m talking about.